"The NPD Group has added several retailers to its panel, including Toys R Us, with the April 2011 release of its Retail Tracking Service covering Video Games." Mortal Kombat scores a fatality with consumers in the month of April showing that fighting games are back and once again in-style. 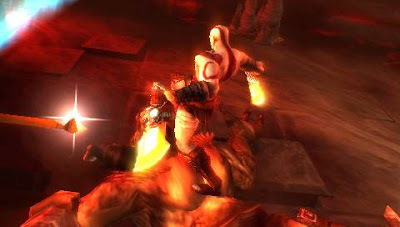 Following that is Portal 2 on the Xbox 360, LEGO Star Wars III: The Clone Wars, and Call of Duty: Black Ops. On the hardware side of things, the Nintendo 3DS continues to have a slow start with its lack of compelling software and similarity to the DSi. It's not looking good for Nintendo's new handheld, but I'm confident that once the games start rolling out this fall, it'll be in better shape. 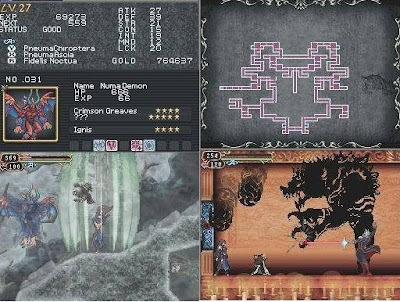 A new Japanese trailer overviews the upcoming Wii-exclusive, Pandora's Tower. The heroine must eat the meat of beasts in order to stay alive. Watch all the Wii remote-pointing action you can stand and power-packed combat in this new trailer. Here's hoping the West gets a taste of this intriguing game. It's time for a special SPC Showdown. This time around we're combating the lineups of the Nintendo DS and PSP to see which will reign supreme in battle. We'll take a look at all the genres: platformers, RPGs, action/adventure, sports, racing, and puzzle in this installment. 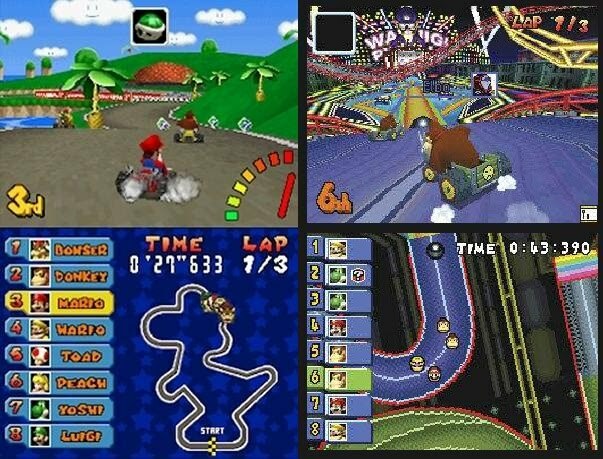 The Nintendo systems have always had a strong lineup of run and jump games whether they were Mario, Donkey Kong, Kirby, or Yoshi. This traditional definitely didn't stop with the Nintendo DS. 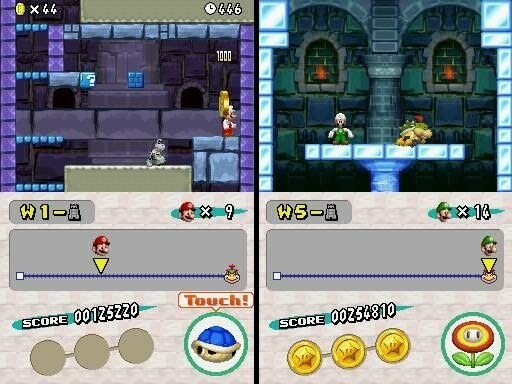 On the DS you had such blockbusters and lower-tier titles like New Super Mario Bros., Yoshi's Island DS, Kirby's Canvas Curse, DK: Jungle Climber, The Legendary Starfy, Super Princess Peach, the trio of Castlevania games, Monster Tale, Henry Hatsworth, Sonic Rush, Mega Man ZX, among others. 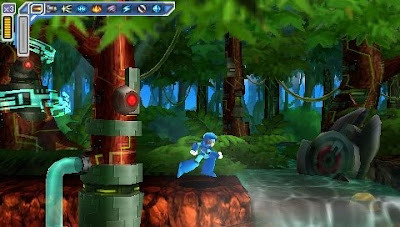 With the PSP 3D platformers were more of the aim, but that isn't to say there weren't some phenomenal 2D ones to be had such as LittleBigPlanet, LocoRoco 2, Mega Man: Powered Up (where one could create their own levels), Mega Man: Maverick Hunter X, Ultimate Ghost 'N Goblins, and Castlevania: The Dracula X Chronicles. On the 3D side of things, there were Ratchet & Clank: Size Matters, a new Jak & Daxter, a spin-off featuring Daxter, separate of the new J&D game, and many more. 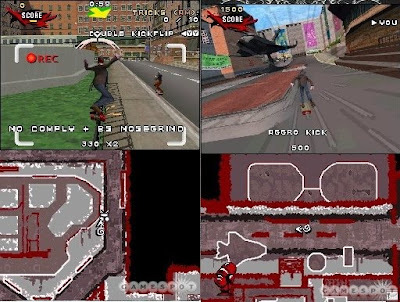 While it's true that the PSP had some wonderful platformers, the 3D ones felt like watered-down versions of the "real" meaty experiences that one could find on Sony's home consoles. The winner here goes to the DS where the platformers were crafted by Nintendo's A-teams or capable third parties. RPGs this generation jumped from consoles to handhelds for the most part, and portable fans couldn't be in for more of a delight. The Nintendo DS grabbed a huge chunk of these games through the Dragon Quest trilogy of remakes, Dragon Quest IX, Golden Sun: Dark Dawn, Radiant Historia, the remakes of Final Fantasy III and IV, Pokemon and all of its versions, The World Ends With You, Mario & Luigi's duo of excellent games, and many more. Meanwhile on the PSP, such titles as the two remakes of the original pair of Final Fantasy games, Jeanne D'Arc, Final Fantasy Tactics: War of the Lions, Star Ocean: First Departure and Star Ocean: Second Evolution, Kingdom Hearts: Birth by Sleep, Crisis Core: Final Fantasy VII, Valkyrie Profile: Lenneth, Tales of the World: Radiant Mythology, both Phantasy Star Portable games, Dissidia: Final Fantasy, Final Fantasy IV: The Complete Collection, Tactics Ogre: Let Us Cling Together, Wild Arms XF, plus a whole heaping of other titles. Although the DS has a high amount of RPGs, I feel that the PSP's RPGs eclipses it in quality. You have all your bases covered: traditional RPGs, tactical and strategy RPGs, action RPGs, and many more. How to define this genre is a bit complex. Do you allow shooters as they represent an action portion? Well, in this case I'm willing to make an exception and allow them. Does this mean the DS is at an unfair disadvantage? Let's find out. With the DS you always have your high quality Zelda games (Phantom Hourglass and Spirit Tracks) that introduced an innovative new stylus-driven control scheme. Throw in Okamiden, the Mega Man series, the Resident Evil port, Grand Theft Auto: Chinatown Wars, Castlevania: Dawn of Sorrow, Portrait of Ruin, and Order of Ecclesia, Metroid Prime Hunters, and you got a series of games to be reckoned with. Conversely, the PSP seems to be made for these types of games with Resistance: Retribution, Killzone: Liberation, the Syphon Filter games, God of War: Chains of Olympus and Ghost of Sparta, Hammerin' Hero, both Mega Man games, Metal Gear Solid: Peace Walker and Portable Ops, the Grand Theft Auto series, and many more. If you're looking for a platform with potentially great action/adventure games, look no further than the PSP. Nothing to do with the Huey Lewis and the News album of the same name-- we're talking about the game genre. 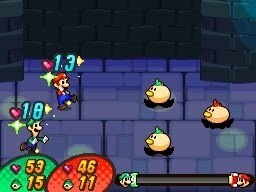 The Nintendo DS does not have a lot of these types of games. There's your yearly Maddens which the PSP also gets, very capable Tony Hawk games such as American Sk8land and Proving Ground, but there's also Inazuma Eleven, a popular soccer/RPG hybrid that is exclusive to the system. 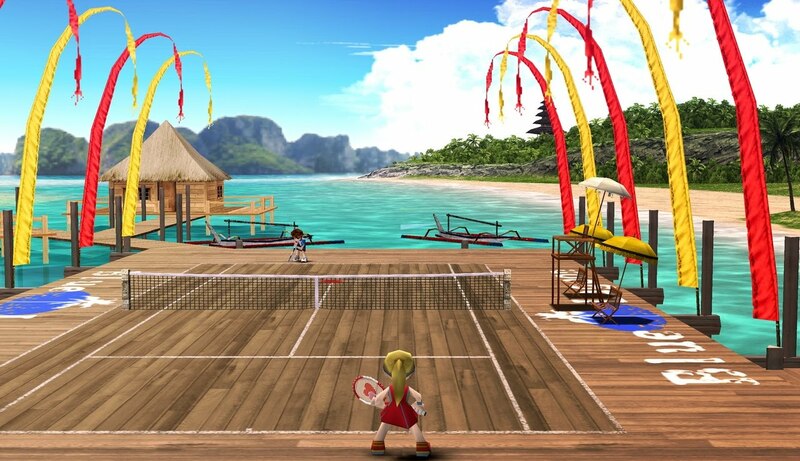 On the other side of things, the PSP is bursting with sports titles from the popular Hot Shots Golf and Tennis games to the WWE lineup of wrestling experiences. Don't forget Sony's annual exclusive baseball game with MLB: The Show. 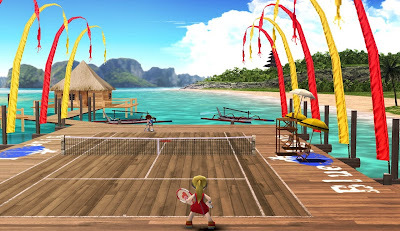 There's also PANGYA: Fantasy Golf which chipped away many hours in my life. There's no contest here. PSP wins. Put the pedal to the metal, and let's rev it up to 88 mph! The DS is home to two of my favorite racing games, one of which being my top pick of all time in Mario Kart DS. Then you have the botched remake of a classic in Diddy Kong Racing DS. While there's still something salvageable from the game, a lot of the charm was lost from new Rare touching a Nintendo 64 classic. The PSP had games like MotorStorm: Arctic Edge, Ridge Racer, Split/Second, plus the less-than-stellar Sonic Rivals. I prefer quality over quantity this time 'round, so the win goes to the DS via Mario Kart DS' help. Ever since the days of Tetris, man has been craving for some stimulating brain activity. With the portables, he's gotten that and more. 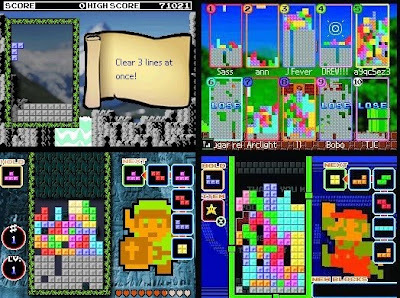 The Nintendo DS is king when it comes to puzzle games with titles like Professor Layton, Picross, Tetris DS, Brain Age, Meteos, Planet Puzzle League (the newest version of Tetris Attack), Clubhouse Games, plus several others I'm leaving out. The PSP has titles like Lumines, Exit, and Crush to whet the appetites of puzzle-loving portable gamers. That's not enough though to compare with the DS' wonderful library of puzzling games. Aw, shucks. There is no clear winner here. That's all right though as both systems feature enough games that either handheld is a remarkable choice to buy. I'm sure in five years we'll be doing the same thing with the Nintendo 3DS and the Sony PSP NGP. Until then, we'll see you next time on the SPC Showdown! A new week is upon us, so it's time for SuperPhillip's Favorite VGMs to hit the streets once again. Up on deck this week is music from Tales of Symphonia, F-Zero GX, and Skies of Arcadia. We have a great mix of music for you today. 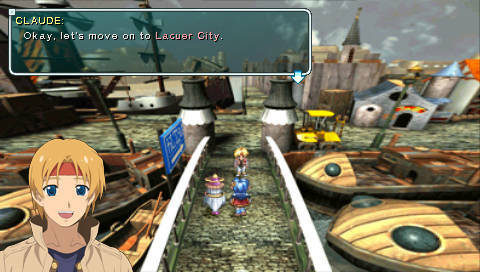 Fatalize is one of the boss themes composed by Motoi Sakuraba for the Gamecube (and PlayStation 2 Japan-only) hit, Tales of Symphonia. The game featured exquisite visuals, an intriguing story, decent voice acting, and a stirring score. Hearing Robin from Teen Titans as the main hero took some getting used to, but regardless of that, Namco put on a good show with Symphonia. F-Zero GX was a balls-to-the-wall difficult game in the later stages and story mode. 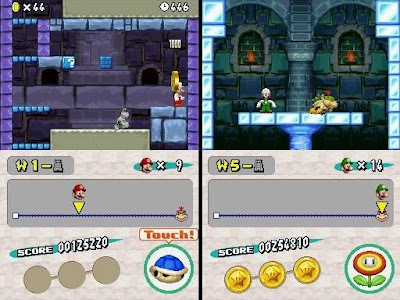 In the story mode, it featured nine unique challenges such as beating a track while keeping your speed above a certain km/hr or narrowly escaping a multitude of doors closing in on you at various angles. 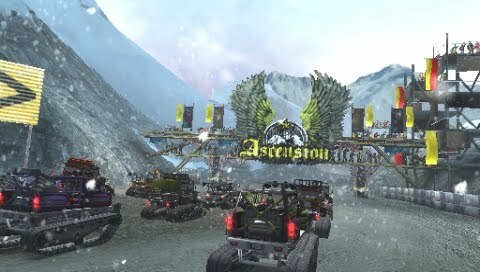 Shotgun Kiss is the theme for Vegas Palace (aka Casino Palace in the West), a casino-inspired set of tracks where you put the pedal to the metal and wish for the best. Trojan Beauty plays in the Western kingdom of Troia, a whimsical place housing one of the four elemental crystals. This is a two-fer edition of the favorite VGMs. First we have the original version as heard in the Super Nintendo classic followed by the DS remake rendition. Final Fantasy IV is my second favorite Final Fantasy next to Final Fantasy VI. I've recently purchased the Complete Collection on the PSP. This marks the third or fourth version I've bought. What can I say-- I'm a whore for the game. Skies of Arcadia is more than a decade old now. Can you believe that? Time flies when you're having fun! The Dreamcast original is one of the system's best RPGs-- dare I say one of the best games on the system period. The Gamecube port did away with the massive amount of random encounters and added a whole heaping of brand-new boss encounters. Which ever version you choose, you're going to be entitled to a great game with memorable music, fun characters, and a swashbuckling story. This song, Epilogue, plays near the end of the game. A perfect end to a near-perfect game. Jolly Roger's Lagoon was split into two parts. One was your town setting while the other was an expansive underwater world known as Atlantis. Exploring the town could net you a bunch of valuable doubloons while exploring the dark deep of Atlantis could earn you a battle with a nearly-blind Lord Woo Fak Fak. Banjo-Tooie was a more adventure-styled game than its mostly platformer predecessor. The VGMs have concluded once more with that awesome track from Banjo-Tooie. We'll see you next week when the VGMs return!